This document is intended to define the terms and conditions under which a part, ladouce - Vape , hereinafter the EDITOR , provides its users the site and the services available on the website and secondly, the manner in which the user accesses the site and use its services. For the user, simply accessing the site EDITOR at the following URL www.ladoucevape implies acceptance of all the conditions described below. 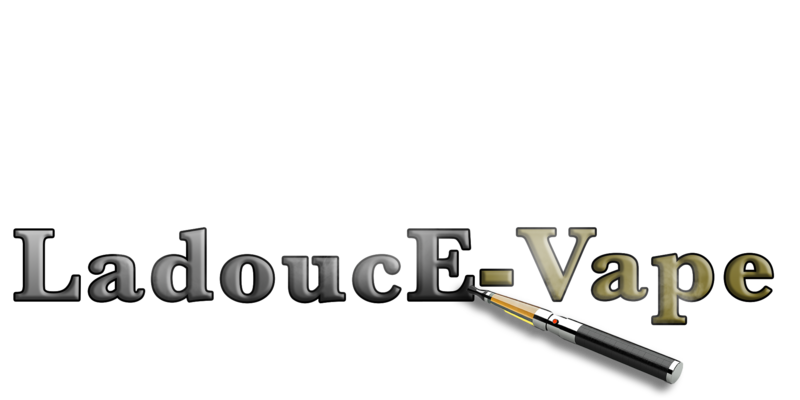 The general structure of the site ladoucevape.com , as well as text, graphics , images , sound and video composing , are the property of the publisher or its partners. Any representation and / or reproduction and / or partial or total use of content and services offered by the site www.ladoucevape.com by any means whatsoever, without the prior written consent of ladouce - Vape and / or its partners is strictly prohibited and could constitute an infringement under Articles L 335-2 of the Code of intellectual property . Brands Evod, Ego, Innokin, Protank are trademarks par Cacuq. Any representation and / or reproduction and / or partial or total use of these trademarks , of any nature whatsoever, is totally prohibited. Information and / or documents on this Site and / or accessed through this site are from sources considered to be reliable , such information and / or documents may contain technical inaccuracies and typographical errors. The use of information and / or documents available on this site is under the full and sole responsibility of the user, who assumes all the consequences arising therefrom , without the EDITOR can be sought in this respect , and without recourse against the latter . PUBLISHER shall in no event be liable for any damages of any nature whatsoever resulting from the interpretation or use of information and / or documents available on this site. The editor strives to allow access to the site 24 hours 24 7 7 days , except in cases of force majeure or an event beyond the control of the EDITOR , and subject to any breakdowns and maintenance necessary for the proper functioning of the Site and the Services . Therefore, the Publisher can not guarantee availability of the site and / or services, transmission reliability and performance in terms of response time or quality. There is no provision for technical assistance with respect to the user either by mail or telephone means. PUBLISHER assumes no liability for services accessible via the Internet and has no control of any kind whatsoever about the nature and characteristics of any data transferred via its server center. The user acknowledges that the data circulating on the Internet are not protected especially against possible diversions . The presence of the logo ladoucevape.com establishes a rebuttable presumption of validity. Disclosure of any information deemed by the user of sensitive or confidential nature at its own risk and peril. Both this site and the terms and conditions of use are governed by Canadian law, whatever the place of use. In case of any dispute, and after the failure of any attempt to search for an amicable solution , the Canadian courts will have jurisdiction to hear the dispute .